Here's just a sampling of the products we stand behind. 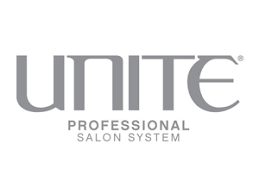 A premium hair care line, UNITE hair care, specializes in creating paraben-and sulfate-free, non-animal tested and completely vegan products that will keep your hair-and the world around it healthy and happy. OYA. Own Your Art. Radiant, versatile, reflective color that retains the hair's integrity and shine. Founded and supported by the Schwarzkopf family whose experience in the hair industry has spanned over 4 generations. Don't hate your frizz, nourish it with Keratin Complex. Express or original form, you'll love the ease of your hair with this amazing treatment.